The non destructive testing technology Magnetic Particle Inspection or MT as it is generally referred to is a simple crack detection tool for ferrous materials. MPI is used mainly for detecting surface breaking flaws. 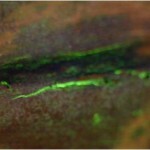 Some techniques will detect large sub-surface flaws. There are a number of levels of sensitivity and means of inducing magnetic fields in materials. The technique is determined by specific application and configuration of part to be inspected. 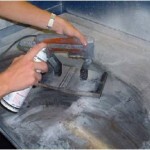 In order to perform this inspection technique, it is a requirement to remove all coatings and have surface clean of dirt, scale and grease. MPI will detect flaws perpendicular to the magnetic field, for this reason it is necessary to magnetise the material in at least two directions. During MPI the iron particles are in either dry or wet form. In wet form they are either oil or water based. 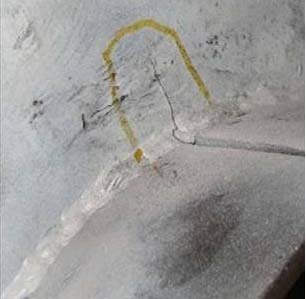 Dry Powder technique – Hi-Temperature and gross cracking – is not commonly used and is the least sensitive of the three NDT MPI techniques. Electromagnet or Permanent Magnets are used for this inspection technique. 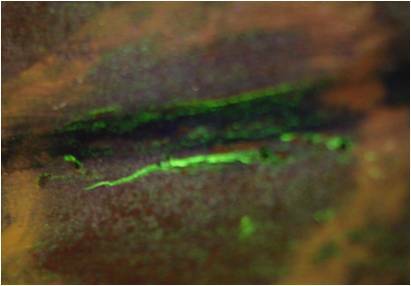 Contrast Technique – Uses a background paint to enhance crack indications, medium sensitivity maybe used in direct light and is the most general technique employed. Widely used for the inspection of structural steel welds and in maintenance inspections of plant and equipment. Electromagnet or Permanent Magnets are used during this inspection technique. Wet Fluorescent Magnetic Test (WFMT) – this technique requires the use of UV light in a darkened environment. This is the most sensitive MPI technique and used extensively in the Power Generation and Petrochemical Industry during maintenance inspections. Electromagnet or Portable AC/DC Coil units are used for this inspection technique. All inspections are performed by experienced ANS certified personnel to ASNT or PCN. 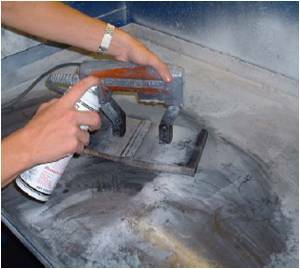 Specifications governing Magnetic Particle Inspection include ASME V and EN17638.